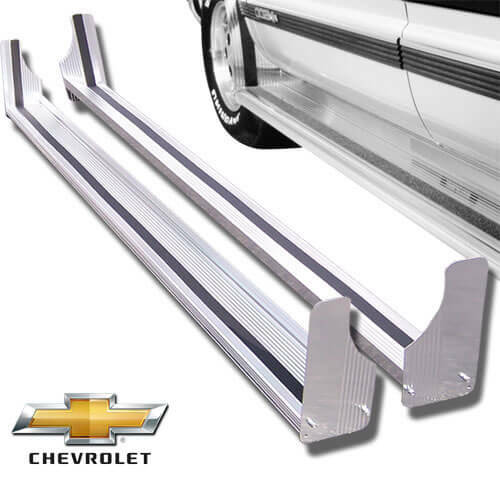 This full size van aluminum running board was designed for 1970-1995 Chevy-GMC vehicles. Its hardware is easy to install, and burnished with a gleaming silver aluminum finish that will bring a polished style to any van. This aluminum running board also features an anti-slip step tread, so that passengers are assured of a dependable door entry every time. For a 110" wheel base, select a 75" length, and for 125" wheel bases, select a 90" length. 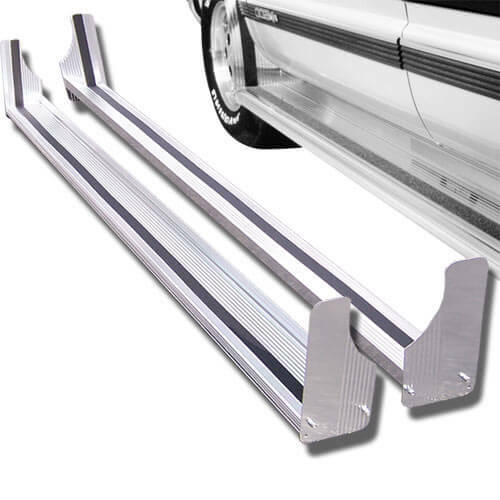 With its durable, heavy-duty construction, this van running board will be the ideal fit for your van. Sold in pairs.